This free module will show how easy it is to use Procurisk®. Against each metric, three scenarios will be presented. Choose the one that most closely resembles your situation, then within the range of scores available, position yourself accordingly. If you do not quite meet the descriptor, score yourself in the lower range of available scores and if you match the descriptor or exceed it but do not meet the next descriptor, score yourself to the higher end of the available score range. Sign up to our newsletter at the bottom of the page for advice, tips, guidance and case studies: let's sharpen your commercial negotiation skills! In the negotiations I have conducted I always tried to determine the most reasonable outcome and then get there rapidly in one or two moves. This was derided as a strategy of “preemptive concession?? by those who like to to make their moves in driblets and at the last moment. But I consider that strategy useful primarily for placating bureaucracies and salving consciences. It impresses novices as a demonstration of toughness." To meet the needs of thoughtful people, Brian Farrington publishes a monthly e-newsletter “Think Procurement.?? 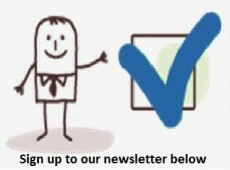 Sign up to our newsletter, it's free! See bottom of the page for a quick and easy sign up. We now recommend you read "The 6 simple principles behind effective procurement "
We have recently advised a client on the potential use of contract performance bonds. This very broad subject is in the psyche of project buyers in particular, but not unknown in other facets of procurement. Case law is extensive, specifically in the dimension of ‘first call’ bonds, also referred to as ‘On-demand’ bonds. An on-demand bond puts the bondsman under a primary obligation and as such is independent of the underlying contract. The alternative to the on-demand bond is a ‘conditional’ bond. As the name suggests, they are conditional in that there has to be sufficient proof by the employer of the default of the contractor and of the damage having been suffered by the employer before the bondsman is obliged to make payment under the bond. Is everyone with us so far?? The above is standard input on most courses dealing with the subject matter. They have more or less become the norm on PFI/PPP projects. Payment by the bondsman is conditional on an adjudicator’s decision. Buyer beware! The outcome of the adjudication may only be an interim decision. Unless the adjudicator’s decision is final and binding it could be varied by the outcome of litigation. The devil is in the detail, every time. There needs to be provision for a Maximum Sum. A demand must be accompanied by either a certified copy of a decision issued in adjudication proceedings or of a judgment of a court in respect of an action under or in connection with the Contract or a certified copy of an agreement or written notice relating to the Contract signed on behalf of both the Employer and the Contractor under which the Contractor agrees to pay the Employer an amount which is not less than the amount claimed by the Employer. The procurement profession is in urgent need of guidance on the use of Adjudication Bonds. Thanks and please share this article by clicking the icons underneath this article if you found it useful. Now have a read of "The year of the audit" and REMEMBER to sign up to our newsletter at the bottom of the page. From a certain little town near London, two people forged careers in procurement through the double-dip recession and beyond, to the present day in 2014. Both of them had enjoyed the same educational opportunities, and so far as anyone could judge, their prospects for success were equal but found themselves with very different outcomes..
One person accomplished a high-quality career, rising to VP in a telecoms firm. The other spent their last years almost entirely dependent upon the State and their children for financial support. The second person has had, "tough luck,?? friends and acquaintances said and “never seemed to succeed before or after the recession.?? But the first person did not ,“lose their grip.?? They seemed to experience no difficulty in, “catching hold?? after the recession. The difference in the two people was not one of personal capacity or ability but a difference in decision making. One person saw the after-the-recession tide of expansion, so continued to learn and develop their skills for executive procurement opportunities. The other person drifted along, hoping something would turn up. The history of these two people will be repeated in thousands of lives in the next few months and years. “You can’t help me, I have been around for years and know it all.?? “I am CIPS qualified and that puts me in a unique situation.?? “I don’t have the time for studying, my family comes first.?? “My company isn’t on my back, so why should I bother??? “Procurement will never reach the Boardroom, so I will tootle along.?? “I am happy being a buyer – who wants responsibility??? “Opportunity does not flow in a steady stream, like the oceans, it comes and goes in great tides.?? There was a high tide after the mid 70’s recession; and then came the panic of the late 80’s. There is a high tide now; and those who seize it need not fear what may happen when the tide recedes. The wisest people in this country are now putting themselves beyond the reach of fear – into executive procurement positions that are indispensable to far sighted organisations. If you are in your twenties, or your thirties, or your early forties, there probably never will be another such critical year for you as this year, 2014. Looking back on it, in a few years hence, you will say, “That was the turning point.?? Many wise and thoughtful people of this country have anticipated the coming of this period and prepared for it. They have trained themselves for the positions which business cannot do without, benefiting from the Brian Farrington training and consultancy insight. Brian Farrington is THE Procurement specialist which has proved its power to lift people into the higher procurement executive positions. Among the thousands of people who have benefited from Brian Farrington courses and consultancy services, many have gone on to be presidents of corporations, vice-presidents, Managing Directors, CPOs, procurement managers, category managers, and sourcing specialists, according to figures compiled a year ago. To date, Brian Farrington has worked with 33 of the current FTSE100, leading international organisations in North America, Asia and Southern Africa, the majority of government departments and with a full range of category expenditures. People who have developed themselves to seize opportunity, will make these after-recession years count tremendously. You too, can make 2014 count for you. Sign up to the Brian Farrington “Think Procurement?? e-newsletter now (see bottom of page). There are many email lists competing for your attention. That's why Brian Farrington ensures that this one is brimming with valuable procurement, risk and negotiation material. If you're looking for some glib, vague, motivational fluff- this is not it. Brian Farrington will make you think. The “Think Procurement?? e-newsletter will reveal to you procurement, risk and negotiation strategies you can use, everyday, in real life situations with contractors, suppliers and stakeholders to make your career progression more effective and get the people in your life (including yourself) to move in the direction you desire. It's free. See bottom of the page for a quick and easy sign up to bring it to you. Sign up for “Think Procurement?? now, while your mind is on it. You could not seize the chance that came after 90’s or 2000’s. But it will be down to you, if, ten years from now you say: “I could have gone on to success with the thousands of others, and I did not even investigate or capture the opportunities.?? We now recommend you read "The purpose of procurement and risk training." - and sign up to the 'Think Procurement' e-newsletter (scroll to the bottom of the page). Negotiation and Risk through "Buyer's eyes"
The organisers of Manufacturing Exhibition have kindly invited Stephen Ashcroft to provide two(!) presentations at their Farnborough event on 13 February 2014. At the exhibition you'll not only be able to reinforce relationships with existing local and national suppliers but also be able to evaluate potential new ones – on your terms and with no need for more than a few hours away from your desk. You'll be able to see the latest and best in Machine Tools, Factory & Process Automation, Packaging & Handling, Design & Rapid Prototyping, Test & Measurement, Labelling & Marking, Electronics, Fastenings and Pressings & Mouldings to name but a few. Add to this the opportunity of taking in impartial Industry Seminars covering the ‘hottest topics’ and we feel certain that your time will be more than well spent. The Industry Seminars is where I come in! 1. My first session is entitled Let’s sharpen your commercial negotiation skills which does appear to have sparked an interest from the Exhibition attendees – based on initial ‘session preference’ numbers - over 137 smiling faces will be eager to share and explore best practice. Or at least that’s the aim. The seminars are sponsored by Electronics Weekly and Production Engineering Solutions, two specialist media partners, which would also account for the interest generated. My negotiation session will introduce the six techniques of persuasion (if you know a seventh, please get in touch!) which underpin negotiations, proven in a range of sectors, commodities and international locations. Attendees will also be able to explore their own responses to the suppliers ‘top ten’ negotiation statements. I will provide examples from the ‘real world’ to illustrate the key learning points of the presentation – No widgets, No BATNA! There is always more to learn to sharpen the skill of negotiation. I hope you can join us for either session – or both - fast paced, interactive and lively 1-hour sessions. My approach, as always, is to provide practical advice, proven in ‘real life’ with techniques that can applied back in the work place straight away. Stephen Ashcroft BEng, MSc, MCIPS, is a Procurement Coach who helps Directors and Managers align their suppliers’ performance with their stakeholders’ needs. He works with professionals who are brilliant at what they do, but want to get better at managing procurement risk and negotiation. He teaches them how to become confident and competent at managing procurement risk and negotiation. How to understand what procurement deliverables *really* can be, how to become the authority on efficient and sustainable contracts, how to get stakeholders engaged in an effective process, how to nurture supplier relationships, and how to successfully negotiate , minimise risk and resolve supplier disputes. He is a visiting lecturer at the University of Manchester on their Engineering Doctorate programme. Stephen is also co-author of “Contracting in the Public Sector?? and a contributor to the Lysons/Farrington 8th Edition of “Purchasing and Supply Chain Management“. Which is nice. But his real pride is in the feedback and results achieved by his clients. If you’re in Hampshire on Thursday this week, 13 February 2013, the Exhibition certainly does look like it is well worth attending – over 600 engineering and electronic suppliers exhibiting. For more details about the Exhibition take a look here. Drop me a note and I’ll organise a guest ticket for you to attend my presentations. Procurement and risk training- What is the purpose? The purpose of Brian Farrington training input is to spare participants’ time and error – in delivering your business aims. Our 'grey haired' resource is part of the toolkit of leading organisations, including 33 of the current FTSE100. We instil, reliably and effectively, techniques and solutions which have taken the very brightest and most determined of leaders in the field of procurement, a tireless effort to solve. Many of the techniques and examples of best practice are available elsewhere - there is no shortage of procurement 'consultants'. You can find the answers on the Internet or in best-selling text books. However the problem in accessing these assets is that they need to be effectively filleted and skilfully dissected to be readily applied to your business. It is rare to find subject matter experts with strong presentation skills; the natural ability to engage with a group- motivators with depth. Established as one of the world's first procurement consultancies, we have the experience and expertise to help you deliver your business aims. Question: What is your ambition for developing the skills, knowledge and behaviours of your people engaged with suppliers? For more information on how we can help you develop your skills please read "A positive step in developing your skills"
One of the worlds’ first specialist procurement consultancies, Brian Farrington, has expanded its client-facing team with the appointment of a new Marketing and Partnerships Co-ordinator. Brian Farrington’s new appointment will bring valuable online knowledge and insight to the award-winning consultancy and executive training specialist. Rob Chan joins the team straight from Manchester University and will contribute to the overall Marketing and Communications Strategy of Procurisk®, as well as wider projects that aim to improve current processes and materials informed by Rob’s engineering background. The Duke of Edinburgh Award winner is also fluent in Cantonese and Mandarin, which will be a useful asset for Brian Farrington’s international procurement consultancy clients – and having boxed for his University we won’t be arguing with him! Rob said: “Brian Farrington is a forward thinking company and my new role will be an exciting challenge because of the diversity of the clients and services. I believe I bring a wide-ranging skill set which can be applied to develop communications and further raise the profile of the Brian Farrington procurement consultancy value proposition.?? Brian Farrington’s managing director, Dr Brian Farrington, said: “Rob joins us at an exciting time, as we continue to deploy our 2014 strategy to leverage the value of our 30+ years’ experience in driving value for our clients’ procurement activities.?? To the Chinese this is the Year of the Horse. On the first of April we start the New Financial Year for Public Sector bodies. Will this be the Year of the Procurement Audit? Here is why it is likely! In November 2013, the Audit Commission in its report “Protecting the Public Purse?? stated that in 2012/13 the NFA estimates procurement fraud cost local authorities £876 million, making it the single largest area of financial loss to fraud in local government. However for the same period the total value of detected procurement fraud by local authorities was £1.9 million. This was spread over 203 detected cases (average £9,360 per case). A detection rate of 0.22%. Compare this to the overall estimated Fraud in Local Authorities of £2bn with identified cases amounting to £178m. The detection rate in this case is almost 9% (average £1,664 per case). Given the low detection rate and the higher average cost of each Procurement related fraud it seems that Procurement is an obvious and an essential area to target. What makes Procurement an even more compelling area to focus on, is that regardless of any fraudulent activity, money is being wasted through less than optimal practices. This may be due to poor procurement, loose specifying, bad contract design, inadequate contract management, insufficient supplier management or many other aspects of the Procurement Process but in particular Procurement Risk Management. Losses as a result could dwarf that of fraud! Can you stop these losses- No! not entirely. Can you reduce such losses - Emphatically Yes! Are you ready for the Procurement Audit? Many procurement and contract management activities are carried out by individuals outside of any Procurement function or without professional Procurement advice. As such they do not always have the requisite skills to ensure that robust contractual and commercially viable contracts are in place. Gifted amateurs? In some cases not even gifted! However, the accountability for procurement activities, remains with the Head of Procurement. Often, there are insufficient resources to undertake a thorough audit of de-centralised procurement activities. However, there is a solution. Bring in the Cavalry. Work with the Internal Audit Team to plan the approach to verifying that robust controls are in place. It is better to initiate an audit and find issues, than have one imposed on you and to be found lacking. Brian Farrington Ltd., (BFL) has been providing Procurement Consultancy and Training and Procurement and Supply Chain Audits since 1978. We are a firm believer that "prevention is better than cure! and to this end we have developed an online tool - Procurisk® , which can provide a laser like focus on those areas that those Auditing external spend (and Managers of those spending it) should concentrate on. The example below is the output from the Contract Risks dataset and shows 10 of the 32 areas considered. You can see from this which areas need consideration. The system has been developed from over 30 years from our practical consultancy experience of auditing Procurement activities in centralised, decentralised and functional operational departments in both the Public and Private sectors in UK, USA, Southern Africa and mainland Europe. We are that confident that if you use Procurisk® you will be able to identify improvements to your current operations. How do Buyers – and Suppliers - ensure the same direction of travel, (goal congruence appears to be the mot de jour) in tendering for contracts? The thought of mirroring best practice behaviour would appear to be a beneficial area to explore. Stick with me, this applies to both public and private sector. The Auditors and inspectors cite six main reasons for ineffective procurement. So, what are the 6 simple principles behind effective procurement? Buyers- and Suppliers - are asked to reflect on the resources they have in place to deal with the emboldened roles and activities. Procurisk ® is a registered trademark of Brian Farrington Ltd. Copyright © 2019 Brian Farrington Ltd. All rights reserved.